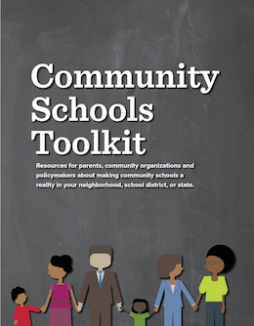 This toolkit highlights particular programs and services that have been included in community schools, and consolidates some policy and outreach resources that can be helpful in advancing a community schools agenda. Fundamentally, however, community schools are not about any set of programs or any one policy. They are about communities taking back the power to transform our schools, and making the commitment to support their success over time.